Passenger numbers at Dubai World Central (DWC), Dubai’s second airport, grew by more than 35 per cent in the first half of this year over the corresponding period of the last year, according to the traffic report issued by operator Dubai Airports. DWC welcomed 554,993 passengers in the first half of 2017 compared to 410,278 passengers during the first six months of the last year—a growth of 35.3 per cent. The regions that topped the list in terms of passenger volumes in this new growth were Eastern Europe (207,798 passengers), the GCC (170,424), Western Europe (61,459) and the Indian subcontinent (55,785 passengers). “Overall, DWC performed well in the first half of the year with both scheduled and chartered carriers contributing to traffic volumes at the airport. 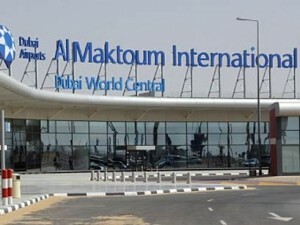 DWC’s continuing growth as an important travel and logistics hub is driven by advantages the facility offers to both airlines and passengers—from easy availability of slots to quick turnaround times, access to new catchment area, and quick transit times for passengers,” said Paul Griffiths, CEO of Dubai Airports. Himalayan Airlines’ inaugural flight from the Nepalese capital of Kathmandu landed at Dubai World Central (DWC), Dubai’s second airport. 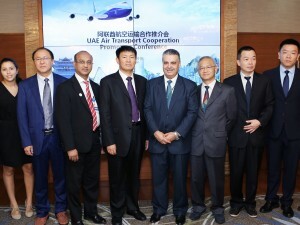 The airline will operate three weekly flights from Tribhuvan International Airport to DWC, using an Airbus A320-214 aircraft with 150 economy class seats and eight business class seats. 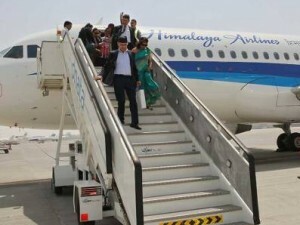 Himalayan Airlines’ arrival at DWC increases the number of passenger carriers serving the airport to 19 and the average number of weekly flights to 106. 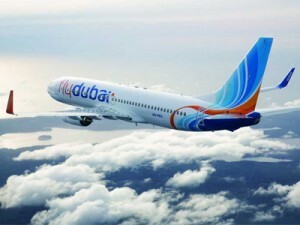 Dubai Airports, operator of Dubai International (DXB) and Dubai World Central (DWC), has signed a Memorandum of Understanding with the Bureau Dubai Expo 2020 to ensure a world-class experience for the millions of guests that will visit Dubai during the event. 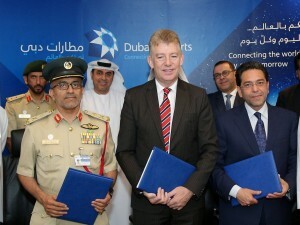 Following the signing of the MoU the airport operator is now an official supporter of Dubai Expo 2020. As part of the agreement, Dubai Airports will engage with the Expo 2020 team and airport stakeholders to create an ‘expo experience’ inside the airport which will set the tone for visitors and entice transfer passengers to return or stopover. Additionally, as part of its DXB Plus programme and service strategy, Dubai Airports will work with airport stakeholders to ensure minimal queuing and fast and convenient passage through both airports. 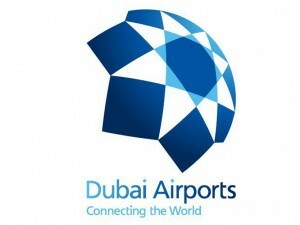 Dubai Airports recently launched two major projects that will provide the capacity required for Expo 2020 and onwards. The first, DXB Plus, is designed to deliver a consistent and differentiated customer experience while boosting capacity to 118 million by 2023 without adding any additional significant infrastructure. Capacity gains and service enhancements will be achieved through streamline, customer-centric processes and new technology. The second, also currently underway, will see DWC’s passenger terminal building expanded from the current 5 million passengers per year to 26 million by the end of next year. As part of the DWC expansion programme the check-in area, baggage and immigration halls, as well as security screening areas, will be substantially expanded while the forecourt will be improved to ensure easier access to the parking and drop-off areas. Once complete the passenger terminal will provide a total of 24 boarding gates, 7 baggage reclaim carousels and 104 check-in desks.